This is the first installment of the the new Saturday Series on this site. Each Saturday I will focus on a specific Scripture passage or area of study, with the intention of providing guidance for those who wish to learn the value of an in-depth critical-exegetical approach to studying Scripture, and how one might begin to go about it. As previously mentioned in the introduction to this Series, it is necessary to begin with the original text of Scripture—in the case of the New Testament, this means the original Greek. However, before one can do that, one must first know just what that text is. As you may be aware, no two manuscripts (hand-copies) of the New Testament are exactly alike; the copies contain many differences between each other. Most of these differences are slight and rather insignificant—i.e., variations of spelling, obvious copying mistakes, etc. However, others are more substantial, and some genuinely affect the meaning of a passage. In such cases, it is necessary to determine, as far as one is able, what the most likely original form or version of the text is. 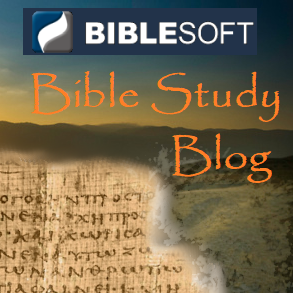 This part of Biblical study (criticism) is called Textual Criticism—analysis of the text, its variants (differences) and determination of the original form (when possible). I have devoted an introductory article, in three parts, to this subject, which I recommend you read; it is entitled “Learning the Language” (Parts 1, 2, 3). In most English Bible translations (the reputable ones), substantial differences, or variant readings in the text are indicated by footnotes. The most likely original reading (according to the translators) appears in the main portion, while other known readings are given in the footnotes. Unfortunately, people tend to ignore or gloss over these textual footnotes; but I would urge you to get in the habit of paying attention to them and examining them. This is one of the first steps toward an in-depth study of the Scriptures. Occasionally a situation arises where the evidence in favor of certain textual variants (variant readings) is more evenly divided. In such cases, it can be most difficult to determine which form of the text is more likely to be original. Here the student and commentator of Scripture (let us begin with the New Testament) must proceed carefully, considering all of the possibilities. To demonstrate this, I will use two examples from the first chapter of the Gospel of John. I like to use the Gospel of John, and the first chapter especially, because it tends to make the theological significance of the textual variants more readily apparent. Which reading more likely represents the original text? And is there any significant difference between them? Let us address the first question, considering the arguments in favor of each reading, in reverse order from how they are listed above. There is essentially no Greek manuscript support for this reading; it is attested in the writings of several early Church Fathers (commentators/theologians such as Origen, Epiphanius, and Cyril of Alexandria). However, it is attractive as a way to explain the other two readings (with “God” or “Son”). If the text originally read just monogen¢s, scribes (copyists) and commentators would have been inclined to explain it, expanding the text, more likely (and often) by adding “Son” as the natural meaning in context (“[the] only Son [born]”). This is the most common and widespread reading, including that of some important early manuscripts (such Codex Alexandrinus [A]). It also happens to make the most sense. Jesus refers to himself (or is referred to) as “(the) Son [huios, ui(o/$]” quite often in the Gospel of John, and almost always in relation to (God) the Father. The word monogen¢s is used in this context earlier in the prologue (verse 14); moreover, elsewhere in the New Testament it is almost always used in combination with “son” (or “daughter”)—see Luke 7:12; 8:42; John 3:16, 18; Heb 11:17; 1 John 4:9. This is the reading of some of “the earliest and best” manuscripts, including the early (Bodmer) papyri 66 and 75, Codex Vaticanus [B] and the original copyist of Codex Sinaiticus [a]. It must also be considered the most difficult reading—what exactly does the expression “only (born) God [theos, qeo/$]” mean? An important principle in textual criticism follows the saying difficilior lectio potior (“the more difficult reading is preferred”). The idea is that copyists would be more likely to change the text (whether intentionally or unintentionally) to a reading that was easier to understand or which made more sense. As noted above, “only (born) Son” is a much more natural expression. I would ask you to consider and to meditate upon these three different readings, in the context of John 1:18 (and the Prologue as a whole—read through it carefully). Do you see any difference in meaning or emphasis, in terms of what the author may be trying to convey? If so, what are the differences? Next Saturday I will follow up on this discussion, by examining briefly certain details in verse 18 which I believe are essential to a proper understanding of the passage. At the same time, we will consider our second example from the Gospel of John. If you own a OneTouch Professional Series or Professional Reference Library (Version 5), you already have these two resources at your fingertips! Aorist subjunctive (pisteu/sete)—which here is generally taken to mean that the author is writing so that people will come to trust in Christ; in other words, it is aimed primarily at non-believers, or those who are not yet Christian. Present subjunctive (pisteu/ete)—in this case, the present tense would perhaps best be understood as “you would continue to trust”; that is, the purpose being to strengthen the (current) faith of believers. Here there is no doubt that the author is writing to believers; his purpose is indicated by the used of a perfect subjunctive (a past condition continuing into the present)—i.e., believers have seen/known, but he wishes that they will continue to know, and know more fully. It is almost as though he is writing specifically to those believers addressed in Jn 20:31, but that his purpose now is for an even deeper level of (spiritual) awareness. Again, this awareness is Christological—tied to the correct understanding of the person and work of Jesus (the Son). More importantly, the author is concerned that his audience recognize their real identity as believers in Christ, and to think and act more consistently (and faithfully) in this light. From the standpoint of the Christian Community, this is expressed primarily in terms of the principle of love for one another (i.e. the “love command”) in Christ. Another important aspect of Johannine thought (and theology) is the believer’s identity as being of/from [lit. “out of”] God—that is, belonging to Him, coming from or being born of Him. I have discussed this a number of times in recent notes and articles (cf. especially Part 5 of the current series “Gnosis and the New Testament”, on the theme of Election/Predestination). It is possible that something of this understanding is expressed in 1 Jn 5:13, and also in John 20:31, especially if the reading with present subjunctive is correct (cf. above). From the standpoint of predestination, there is a sense in which believers, over the course of their lifetime, gradually gain a deeper understanding of just who we are—and, indeed, who we have always been—in Christ. I think that the specific expression in John of the believer “holding” (eternal) life, along with the image of “remaining/abiding” in Christ (and Christ in the believer), expresses this profound aspect of our Christian identity. It is not simply a question of gaining or finding life through faith in Christ, but of “holding” it—i.e., truly having it in and with oneself. According to the discourses of Jesus in the Gospel of John, God gave the disciples (believers) to Jesus beforehand, into his care, and so we remain through the presence of the Spirit. It creates a relatively straightforward contrast between the disciples’ understanding and awareness before and after the Last Discourse (and the death/resurrection of Jesus). This interpretation is favored, on internal grounds, by the overall context and setting of the Last Discourse. At a number of points, Jesus conveys the idea that the disciples are undergoing a transformative experience (cf. 13:8-10, 34f; 14:25ff; 15:3, 9ff, 17; 16:4ff, 21, etc), which will only be complete after the resurrection and the coming of the Spirit (13:7, 36; 14:16-17, 20, 25ff, 29; 15:26; 16:4, 6-7, 12ff, 22ff, 25-28). Especially favoring this view is Jesus’ (parallel) response to Philip in 14:9, which stresses the disciples’ lack of understanding. In favor of this interpretation (and reading) is the step-parallel motif/method which appears frequently in the Gospel of John. Moreover, it creates, much moreso than in the Majority reading, a distinct and parallel relationship between knowing and seeing, which is so fundamental to the Johannine Gospel (cf. the prior article). Indeed, it much better suits the context of what follows in vv. 8-11, where the theme of seeing God the Father is emphasized. Here is an instance where strong arguments can be offered on both sides, and so, the text and essential reading of the verse cannot be established with complete certainty. No reputable commentator today would treat this passage without acknowledging the textual variants and uncertainty which exists. Indeed, I would maintain that much is to be gained by a careful examination of both sets of variants summarized above. Given the importance of the verbs ginw/skw (“know”), ei&dw (“see, know”) and o(ra/w (“look at, perceive, behold”) in the Gospel of John, and the frequency with which they are used in the discourses of Jesus, the precise form of the verb, with the nuance of meaning that results from it, ought to be considered most carefully. This is an integral part of a faithful study of the Scriptures, and should not be ignored. The next two occurrences of the word musth/rion (“secret”) to be discussed are found in 1 Timothy 3:9 and 16. The Pastoral Epistles (especially 1 Timothy), like Ephesians, are considered by many critical commentators to be pseudonymous. This issue is complex and much debated, and I will not attempt to address it here. However, it certainly may be argued that 1 Timothy evinces a more developed sense of what we would call Christian tradition—a distinct, and relatively fixed, body of (‘orthodox’) beliefs and teachings which is to be preserved and carefully guarded against false teachers and other ‘heterodox’ outsiders. This, at least, suggests a relatively late date (sometime after 60 A.D.); those who regard 1 Timothy as pseudonymous would probably date it c. 90 A.D. It is not possible in the space here to offer a complete list of relevant passages, but a couple will be mentioned in passing. These two references come from the end of the first half of the letter (cf. my outline of 1 Timothy below). The first is part of the instruction regarding ministers (lit. “servants”, diakonoi) in the congregation (3:8-13). The main criteria given for persons to serve in this ministerial role are outlined in two parts: (a) ethical/moral qualifications (vv. 8-10), and (b) head of a proper and well-run household (vv. 11-12). NOTE: The possibility that verse 11 refers to female ministers, rather than simply to the wives of (male) ministers, will be dealt with in an upcoming article in the series Women in the Church. Normally, in early Christian language, pi/sti$ is to be rendered “trust”, i.e. trust in Christ, as also throughout the Pauline letters. However, gradually, the term came to have the semi-technical meaning “the (Christian) Faith”—Christianity itself as a religious designation. Something of this latter sense appears here in 1 Tim 3:9. As is clear from what follows in 3:14-16 and 4:1-5ff, the “secret of the faith” (to\ musth/rion th=$ pi/stew$) involves all of the core traditions and teachings which the minister must pass along and preserve/protect from corrupting influences. The word sunei/dhsi$ literally means “seeing (things) together”, i.e. a complete perception and understanding, often with a moral aspect, such as would correspond generally to the English word “conscience”. The moral/ethical sense is clear from vv. 8, 10, but it certainly also relates to a proper understanding of the Christian faith. The first half concludes with vv. 14-16, and a Christological declaration (v. 16) that is the central point of the letter. It runs parallel to the exhortation to preserve correct teaching in 4:1-5 (and 6-10). Verses 14-15 relate to the (apparent) context of the letter—Paul is writing to Timothy, the written instruction serving an apostolic role in place of Paul’s appearance in person. The purpose of the writing is summed up with these words: “so that you might see [i.e. know] how it is necessary to turn (yourself) up (again) in the house of God”. The subjunctive perfect form ei)dh=|$ (eid¢¡s, “you might/should have seen”) could relate back to sunei/dhsi$ (suneíd¢sis, “see [things] together”) in v. 9 (cf. above). Also, in 3:11-12, it is said that the minister should be able to manage his own household, as a kind of prerequisite to serving in the house(hold) of God (i.e. the congregation), as stated here in v. 15. The verb a)nastre/fw (“turn up [again]”) in this context has the basic meaning of “return, go back (again)”, i.e. to show up repeatedly and work continually in “God’s house”. This “house of God” (originally used of the Temple) is specifically defined as the “congregation/assembly [e)kklhsi/a] of the living God”, and further characterized as “the pillar [stu=lo$] and base/ground [e)drai/wma] of the truth”. Again this truth relates back to the expression “secret of the faith” in v. 9, and, in verse 16, is centered in the core truth of the Gospel (regarding the person of Christ). Clearly these lines narrate the basic facts and elements of the Gospel, but not according to a chronological arrangement, as we might expect. Perhaps most difficult is the use of the verb dikai/ow in the first line. It literally means “make right/just”, and is often used in the sense of a person being made (or declared) right/just before God, a sense which would not seem entirely appropriate applied to the person of Jesus. However, the verb may also be understood in the more general sense of “making (things) right”. An important aspect of the early Christian view of Jesus was that his death on the cross took place even though he was righteous and innocent of any crime; as such, on a basic level, his death was a terrible miscarriage of justice, one which God “made right” through the resurrection and exaltation of Jesus to His right hand in heaven. This working-out of justice was done through the Spirit of God—the same (Holy) Spirit which makes believers right before God through trust in Christ. Mention should be made of the important textual variant in 1 Tim 3:16. At the start of the hymn-formula, the majority of manuscripts read qeo/$ (“God”) instead of the relative pronoun o%$ (“who”). In spite of some opposition, most commentators (correctly) recognize that the relative pronoun is almost certainly original. It is appropriate to the hymnic/confessional form, and transcriptional probability overwhelming supports the alteration from o%$ to qeo/$, rather than the other way around. In the uncial Greek letters, o%$ would appear as os, which was then mistaken for qs, an abbreviated form of qeo$ (qeos). This “sacred name” abbreviation would be marked by an overline (+q+s), making it extremely unlikely that it would have been mistaken for the relative pronoun os. The change is probably also to be explained by the difficulty of syntax with the relative pronoun: “the secret of good reverence…who was…”; this difficulty is alleviated somewhat if we read the remainer of v. 16 essentially as a quotation: “…the secret of good reverence: (of Jesus Christ) ‘who was etc etc…'” On the other hand, if the majority reading turned out to be correct, then the “secret” would be localized specifically (primarily) in the incarnation of Christ (“God manifest in the flesh”). In the previous note, I discussed aspects of the Prologue to the Gospel of John (Jn 1:1-18) which relate to the idea of the birth of incarnation of Christ as the Son of God, as well as some interesting parallels to the language and terminology found in the annunciation to Mary (Lk 1:28-35). The two most relevant of these—the verb genna/w (“come to be [born]”) and the title ui(o\$ qeou= (“Son of God”)—come together in John 1:13. The context is clear enough—Christ himself gives the ability to become “children of God” to believers (the ones who trust/believe in him). The the verb gi/nomai (cognate with genna/w) is used, more or less, in the sense of coming to be born, as is clear from the parallel in v. 13. The expression te/kna qeou= (“offspring/children of God”) is generally synonymous with ui(oi\ qeou= (“sons of God”), as demonstrated by a comparison of Rom 8:16-17, 21 with Rom 8:14, 19; Gal 3:26, etc. The Gospel and letters of John (Jn 11:52; 1 Jn 3:1, 10; 5:2) prefer te/kna qeou=; based on the slight evidence available, Luke (and the Synoptics) tends to use ui(oi\ qeou= (cf. Lk 20:36; and 6:35, where it is u(yi/stou instead of qeou=, as in Lk 1:32). In Lk 1:35, Jesus is born (as a human being) out of Mary’s body (i.e. her “flesh”); in Jn 1:14, believers are born (spiritually) out of God. The spiritual birth of believers is referred to on several occasions in the Gospel of John, most notably in the famous passage Jn 3:3-8, where the verb genna/w appears 8 times; by contrast, as indicated in the previous note, it is used of Jesus’ incarnate (human) birth only in Jn 18:37. The Gospel writer’s use of genna/w in 3:3-8 will be discussed specifically in an upcoming note. The author refers to believers as te/kna qeou= (“offspring/children of God”) rather than ui(oi\ qeou= (“sons of God”), as indicated above; for him (and the tradition/community in which he writes), there is only one true “Son” (ui(o/$) of God, and this is almost certainly the proper way to understand the term monogenh/$ in the context of Jn 1:14, 18—Christ is the only [monogenh/$] (Son) of God the Father. Within the Gospel, Jesus frequently identifies himself as “(the) Son”, usually in terms of his relationship to, and identity with, God the Father. Believers come to be (born as) “children of God” through Christ—that is, we are dependent on him for our relationship to the Father. Paul says much the same thing (though in different terms) in Rom 8:3ff, 14-15, 22-29; Gal 3:26; 4:4-7. As is clear from the majority text, the relative pronoun and form of genna/w which bookend verse 13 are in the plural: “(the ones) who…have come to be born [oi^…e)gennh/qhsan]”, referring back to “as many as [o%soi]…the ones trusting [toi=$ pisteu/sousin]”. However, Tertullian (On the Flesh of Christ §19) claims that the correct text has the singular: “(the one) who…has come to be born [i.e. o^$…e)gennh/qh]”. He accuses the Valentinian “gnostics” of tampering with the text, changing the singular to the plural—instead of a reference to the birth/incarnation of Jesus, they make it refer to their own gnostic/spiritual ‘birth’. Tertullian cites the variant form again in §24, as does Irenaeus in Against Heresies III.16.2, 19.2; somewhat earlier, it is also found in the so-called Epistle of the Apostles (§3), as well as one manuscript (Latin MS b). A few scholars have argued that the minority reading (with the singular) is original, however the overwhelming textual evidence supports the reading with the plural. The error (if such it is) may have crept in through a careless reading of the text, thinking that the relative pronoun should refer back to the immediately prior words “his name”, especially since Christ is the implicit subject of the verb e&dwken (“he gave”), etc in verse 12. A scribe may thus have mistakenly “corrected” the text; the fact that the reading with the singular was advantageous in the context of early Christological debates with “gnostics”, could explain its temporary, limited popularity in the second century. For more on the text-critical issue in this verse, see the UBS/Metzger Textual Commentary on the Greek New Testament (2nd edition), pp. 168-9, and B. Ehrman, The Orthodox Corruption of Scripture (Oxford:1993), p. 59.